-- Achieve an average annual economic growth rate of about 7 percent. 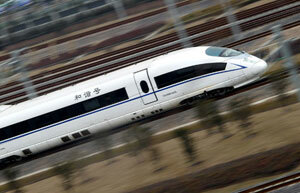 -- Achieve a GDP of 12,500 billion yuan by 2005, calculated at 2000 prices, and per capita GDP of 9,400 yuan. -- Increase the number of urban employees and the number of surplus rural laborers transferred to the cities to 40 million each, thereby controlling registered urban unemployment rates at about 5 percent. -- Keep prices stable, and to maintain the balance between international revenue and expenditure. -- Optimize and upgrade the industrial structure, and strengthen China's international competitiveness. -- Achieve growth for the primary, secondary and tertiary industries at the rates of 13, 51 and 36 percent respectively of GDP, with those employed by these industries accounting for 44, 23 and 33 percent of the total number of employees in the country. -- Improve the national economy and social IT levels. -- Kick-start the operations of more infrastructure facilities. -- Bring the development disparity between regions under effective control, and raise levels of urbanization. -- Raise research and development funding to more than 1.5 percent of GDP, and strengthen sci-tech innovation capabilities, thereby speeding up technological progress. -- Increase gross enrolment rates in junior high schools, senior high schools and higher education institutions to over 90 percent, 60 percent and 15 percent respectively. -- Reduce natural population growth rate to less than nine per thousand, and capping population at no more than 1.33 billion by 2005. -- On the environmental front, to increase forest coverage to 18.2 percent, and the urban green rate to 35 percent. The total amount of major urban and rural pollutants discharged will be reduced by 10 percent as compared with 2000, and more measures would be taken to protect and save natural resources. The Plan also set out to increase the growth rates of disposable income of urban residents and the net income of rural residents to five percent each. In addition, objectives were set to increase housing floor space per urban resident to 22 sq m by 2005, and to install 40 percent of all households in China with cable TV. Another key objective was to improve medical and health services in both urban and rural areas, as was enriching people's cultural lives, and enhancing social morality and security.